I get a lot of questions about the basic aspects of acrylic paint - fluids vs. heavy body, opacity and transparency, drying time, different brands, and more. So I made a little video demonstrating some of the differences between fluid acrylics and heavy body acrylics, including some student-grad acrylics, which are sort of in-between. I also demonstrate a couple of things about opacity. 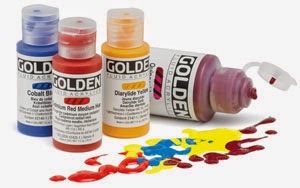 Read all about Golden Fluid Acrylics here. Watch a video here. See an informational video about Golden heavy body acrylics here. All of the above are available at Blick Art Materials and many other art stores. See my Favorite Materials Page for other suppliers (link in right margin). OK, now here is the good part: I have a set of Golden Fluid Acrylics to GIVE AWAY. To qualify for entering in the giveaway (randomly chosen), please comment on this post and make sure you identify yourself uniquely (not just "mary", but "mary in Illinois". I will post the winner on Monday, and the winner is responsible for contacting me with a mailing address. This giveaway is not geographically limited. Next up in this "series" (not sure if it is a series yet) is a video about layering and drying time. Let me know if there are particular topics you would like me to cover in "Acrylic Paint 101". Think Basics, not fancy techniques but stuff about the paint itself. Golden is the best! I also can't wait for the video on layering and drying times. I've been watching (and watching and rewatching) your video on black and white mark making and trying to achieve even a fraction of the depth and value of your pieces, but I've so far mostly succeeded and making muddy gray messes. March 25 and the Keys to Dynamic Composition online workshop can't come sooon enough! Love the information!! Golden is a "go-to" product for me also!! Jennifer in Washington State. I've been using acrylics for years but never used a medium. It's like a whole new play ground. Thanks for the video and tips. Sabra in Iowa. Your videos are always teaching me something new. Thanks for sharing. Joyce in snowy Montana. Interesting post, thank you. Maggie in South Florida. Thanks for sharing your knowledge! Can't wait until the COLOR class starts. Peggy from California. invaluable video, jane. you demonstrate clearly and quickly the differences between transparent, translucent and opaque paints. answered a lot of my questions in this area. oh oh forgot to sign off as mary Catherine from Ontario Canada. Thankyou so much for this free demo! Very helpful. For the next about layering I do have a question....can you use a heat gun or hair dryer successfully to dry the layers? I'm so impatient! Carol yes you can use a hair dryer - just don't hold it really close to the paper. Thanks for the demo - it answers some questions that I've been struggling with. I've never used mediums. I'm more likely to use them now. Thanks! Ooooh! Please enter me in the contest! I am loving Golden Fluid paints and I love your YouTube videos (especially the one with the chicken). Hi, Jane. Great video. I've been managing to get some paintings started. Getting them finished is another story! I hope this posts! I'd love to win these acrylics as I am working more and more in acrylics. I found your video to be informative in my effort to learn more about these paints. I love your videos and watch them over and over. Thanks for sharing your skills. Great video. I would really like to win those acrylics. I so enjoy your videos, thanks for sharing Jane! Great post! Thanks for sharing! I've been playing around with painted collage lately but I've been using regular Blicks acrylic paint not fluid. I would like to try fluid acrylics. Mia in So. Cal. Thank you for sharing your knowledge with us!!! 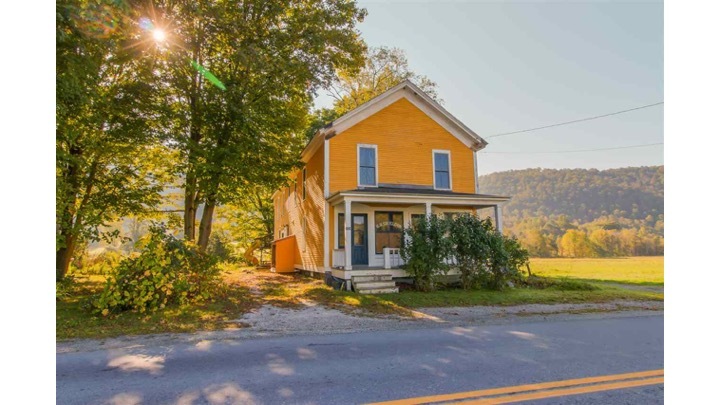 Wendy in VERMONT ! Thanks for sharing your knowledge. I am very much looking forward to your workshops in Portland. What a great video! You even answered a question I had been wondering about just recently - how to make transparent paints opaque. thank you! Thanks for sharing your knowledge! Would love to win the set of Golden fluid acrylics! It is very generous of you to share your knowledge. The video was super, looking forward to the next one. I would love to be entered in the giveaway...a great opportunity. Many thanks . Pretty comprehensive video Jane...thanks for that. Most helpful info. I'll be referring to it again for sure. I've tried many brands of acrylic, and find I really love Golden, but they are super-expensive here, so my palette is severely limited. Always enjoy your videos, thank you! Love the video. I'm always open to new ideas for acrylics. Thanx! Groovy Grampa in Fort Lauderdale. 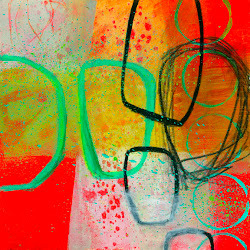 I love using Golden fluid acrylics for my gelli prints. I've only just *discovered* them in the last year, so I'm starting to build my stock. Thanks for chance to win! I'd be a very happy art mama. Hello! Thank you for the opportunity to have those beautiful paints! I enjoyed your video and found you by accident while looking for info on painting on fabric. I'm so glad I did. Thank you for posting your video and the links Jane! I love to watch your videos. Cindy Langston in Dallas, Tx. Guess the previous post disappeared. Apologies if it duplicates. For your Acrylics 101, I would love to see information on which shape brushes are better for which effects. Also, what brushes you recommend. Love your site, Jane. Just discovered you, too! I use flat brushes almost exclusively. 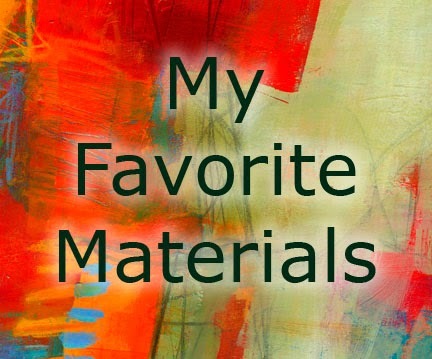 See my Favorite Materials page for source. Just watched your paint/medium demo. The info you shared was great. Thanks so much. Great idea to share more information! Perfect - now I have all the answers to my questions! Thank you. Will watch the video! Love all the info you share. Can you cover storage and shelf life if you have not included that in this video. Christine Wasankari here, excellent video in helping some folks to understand the differences with acrylics, well done, always enjoy when you come out with new videos and posts. Thank you for all you do! Kathy P from Gallatin TN... I would love to win these paints and I appreciate the opportunity... AND ... your work is inspiring... thank you.. I love all the paints you described here and have used most of them. 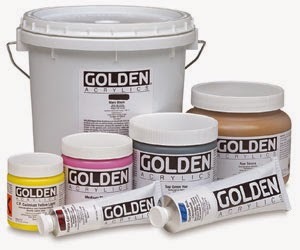 Golden is my #1 choice because of the blending opportunities .... and I love their various mediums available. I can't get enough of Golden fluid paints!!! I love Golden paints! Thanks for the opportunity to win the set. I can't get enough of your videos... thanks for sharing so much. Rhonda from Illinois love your work and would love to learn more about composition/design resources especially consistent with your style. Hope to join you in your class soon. See my TUTORIALS page, where I do High Flow and Open. Just getting into using acrylics with fabric. Thanks for all the super helpful info you share! Another great post! And I love Golden acrylics. Great video and golden high flow acrylics sound yummy! Hmmm. These are not high flow, but high flow ARE yummy for certain applications. 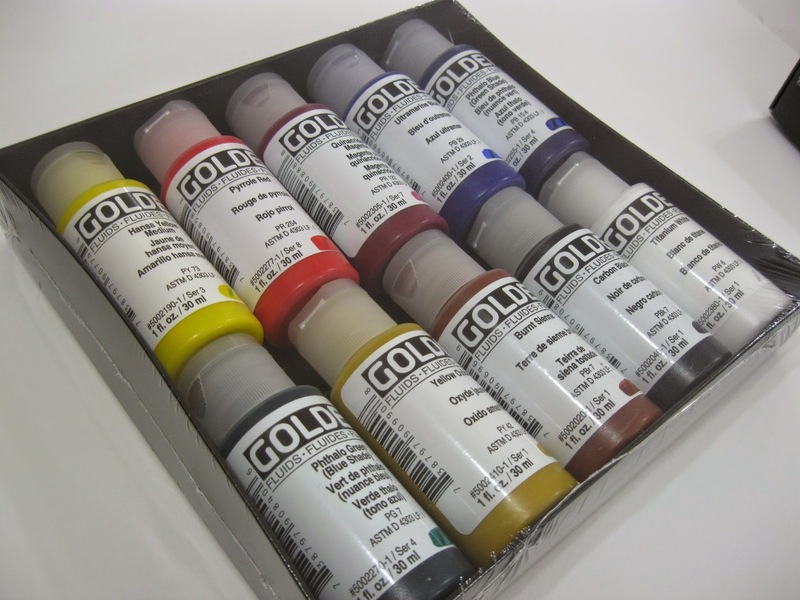 I love Golden fluid acrylics, great post. Vicki in CA desert. I heard great things about golden paints! Carol in Orem, Utah!! A really informative video Jane . . . thanks. For Acrylics 10, more of what you've just done in comparing brands, opacity, using mediums. As yet the results I get are more by good luck than good management. And I'd love some Golden Fluid Acrylics but they are just too expensive for me here. Jane, loved watching your video, so informative. Thanks for sharing. Would love a chance to win some acrylic paint. That was a very helpful video! Dorcee from Ann Arbor. I love all of your videos. Thanks Jane! 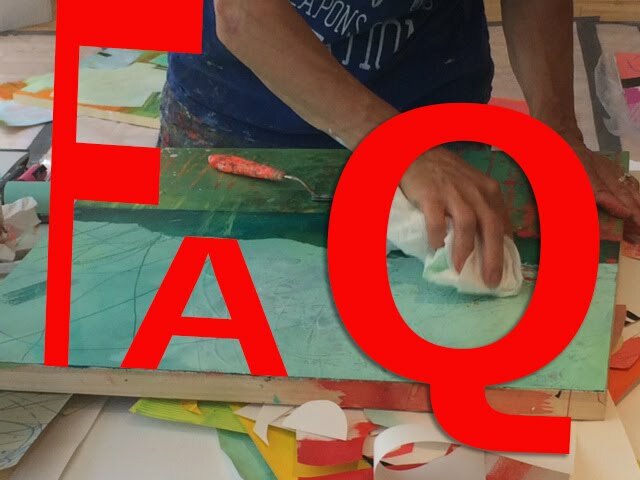 I read this comment to my husband, and he suggested you try large scale encaustic. Great video Jane. Clear & consice and presented with hands on knowledge. I'm now really interested in fluid acrylics. Thanks for the great video & sharing your knowledge. Melody from southern Conn. I'd love to win the paint! Enjoyed the video. Just beginning to use fluid acrylics. Jill from Kansas. Angel From Arkansas Here! Please Please PleaseMake This A Series Of Videos! I Am Already Learning A Lot From You! Thanks!!! I love Golden products. I visited their studio/factory in upstate New York. Anne from the Finger Lakes NY area. I thought I was alone floundering about acrylics! So nice to know that others are also puzzled. Thank you very much for this opportunity! I really love the Golden paints but it's taking a long time to get the the colors I want so I love the idea of a contest. Thanks for all you do Jane! I enjoy learning from your videos. thank you for sharing. The video really helps understand all these acrylic paints. All your videos and demos are so informative! Thanks for the giveaway! Thanks for your informative post - and for the giveaway. Thank you Jane! This helps so much! Thank you for the giveaway! Jane, I haven't use Golden Fluid Acrylics(but their regular paint) or Yupo paper yet but have you tried this combo yet? Do you ever come to the midwest to teach?Thanks for this chance to win. Look at my teaching schedule: YES!! I'm teaching at Dillman's Bay Resort in northern Wisconsin in September. Yes, I've tried a lot of media on Yupo; my favorite so far is plain India ink, no color. I have the gel mediums/glaze but had not tried them like you demonstrated, inspired me to go play with my different supplies and see what effects I can get. Looking forward to more of your videos! If I win, I will share these with my Mixed Media students this session. Golden fluid acrylics are great - I would love to win a set. Count me in! I highly recommend this online class to anyone wanting to improve their skills. Thank you for the give-away. I enjoy your blog. I love the fluid acrylics but they are MEGA expensive in the UK - so I only have three colours. The high pigment does give you a brilliant coverage though. And thanks for all the work you put in on this blog, I've watched ALL your video's, some several times. Lynne from Yorkshire, England again. I was interested in the comparisons between glazing medium and matte medium. I assume that the matte medium would do as it says, make the finish matte. How would the glazing medium affect the dry finish? I'll go to Golden and have a look. I recommend NOT worrying about the finish until the painting is done. Each pigment imposes its own finish (when you are using high-pigment paints), as does each medium. I just put a coat of matte medium over a painting when I'm done, then varnish (see Golden's site on varnish). I also put a coat of matte medium over the whole thing several times during the process, just to build texture and layers. Duffy Indeherberg from Heist-op-denBerg, Belgium. I use Golden product for years. I use them on paper and Fabric. They are so fabulous and I could use a refill for my Golden Fluids. That's so useful, thank you! (I was so busy clicking links I nearly forgot to come back and comment. :D ) Maggie from Pembrokeshire. 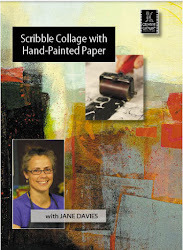 I discovered you through Pinterest, looking for tutorials on the gelli plate. Thank you for the inspiring ideas, this video and all of them. Bonny from the Netherlands. Oh Golden, they are so hard to find here! Great video! I know understand the difference in mediums. Thank you! Thank you for sharing such great information. I haven't tried Golden yet so would love to win. But who wouldn't? Thanks for the great information! Now I understand why my "glazed" art journal pages sometimes stick together. 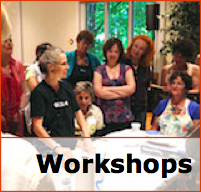 Love how you add to what I learned in your Sept '13 Rhinebeck workshop. Makes me want to run into my cold (3-season) studio, Thank you, Jane. I'm new to acrylics moving over from watercolor. So I'm absorbing all of your info, thanks. I would love a set of Golden Fluid acrylics- Sue in Monroe, Ga. 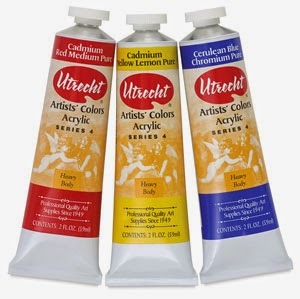 I know the Golden acrylics are great with a lot of pigment, but I can't find them in my country. So it would be great to win this set of paints. I will keep my fingers crossed. Love your videos, Jane. An excellent addition to your repertoire! Thanks for the raffle, too. what a great set of paints! i would love the chance to win! Im from VA too! i forgot to mention my state! Would love to own this set of acrylics. Golden paint is my favorite and a real splurge whenever I can get them! Thank you! For those of you who have asked, check my TUTORIALS page for videos on HIGH FLOW, on using OPEN ACRYLICS for gel printing (including a chicken), and mounting on wood panel. What a fantastic giveaway! I tried your technique with scratching into underlayers of paint and then adding and substracting paint on top and created a neat abstract. 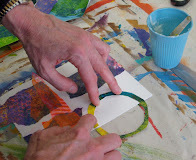 You can see it on my blog and I told others to visit your blog to see your videos - you are very kind to share so much knowledge and although I'm not an abstract or acrylic painter, I really enjoyed giving it a try! HelenEliz in Michigan and I love this tut, needed it badly! Thank you so much for your inspiring videos, I just love watching them. I would like to enter for the giveaway, but I live in the UK, am I still eligible? SUE CROSBY DOYLE FROM COLORADO... I LIKE THE FLUID ACRYLICS, BUT THE FLUID RUNNY ONES I DO NOT. THE CHROMA IS INTENSE, BUT I HAVE TO PUT IN MEDIA TO TIGHTEN IT UP. Thanks...great info. Could you recommend starter set of colors for a beginner like me? I've always wanted to try these paints. Thanks, for the opportunity to possibly win them!! VJ in N.CA. I just start to paint in Acrylics, these fluids would be great additions. Golden fluid acrylics are very hard to find in France, and I love them. I wish I'll be lucky ! Thank you so much for this video Jane. You really answered a number of questions I had about both paints and mediums. It was tremendously instructive. Thank you from me too. I love your work. It is so inspiring and inspirational. Thank you. I loved the video - great info. I have a few fluid acrylics and I love their transparent qualities. I will have to experiment with the lines and some of my other paint. Oops forgot to add that I'm from Alberta Canada. Fabulous give-away—what a great set of paints—I'd love the chance to win! Thanks for another great informative video! Thanks for sharing good information. I love Golden acrylics! 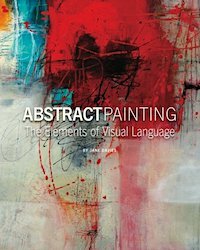 So looking forward to the upcoming class on Color. I have three small bottles of Golden Fluid and I love them. They are Věry economical and cover fabulously. Thank you for sharing you experience! Hi I am Lesley from Port Campbell, Australia and I would LOVE to get my hands on some GOLDEN paints as they are extremely hard to source here. Thankyou for the opportunity. Thanks for the video post (hope it becomes a series). I love the Golden Acrylics and thanks for make it geographically open - we are such a long way away. Brenda from Newtown Australia. Hi, this is Connie Powell in New Kent Virginia. I paint, I need paint. Would love to win your give a way! Thanks for your videos too! Joanne in Maine. Love reading your blog and the videos are the BEST!!! I have learned so much from you. Would love to try the paint. Thanks for sharing this information with us! Looking forward to what you have to share for acrylic paint 101. I have always, always wanted to buy a set of these paints, but I cannot. It is out of fear that I will "waste" the paint by messing up on my art journal. Painting with such expensive and luxurious paints would be a great to do one day. I stick to the cheap craft paints; it feels safer that way. That way if I "mess up" it wouldn't be such an expensive accident. I would definitely love to win a set of these gorgeous paints! Oh Jane…I can't believe you hit on mediums (and paint) today as that is something I've been struggling with. Can I repeat…you like Utrecht matt medium. It is not pourable but comes in a jar (or in your case a bucket)? I like pourable mat medium too. Do you have a favorite one that will pour? I have never used a glazing medium but will get a small bottle to try. Very informative video. Thanks, Jane! Great review. I'd like to try these paints on fabric, too. Debbie M.
thank you for all the info! :) i really enjoy watching your videos and learning new things. Never used the fluid acrylics-would love to give them a try! Thanks for the information. A timely message since I need to order some new paints and have been trying to decide if I want some fluids. Give- away or not, what a great topic to do a series on! I remember on my initiation to mixed media attending a workshop about all the different ink pads....what an eye opener - and I'm sure this series will be the same. Thank you for doing it! Thank you for this helpful video! I would love to have a chance winning this adorable prize! Great video. Thank you so much. Adrienne in Tofino, Canada! Jane you are an inspiration. Your videos and website offer so much helpful information and you are so giving of your knowledge, just wonderful. Thank you for the opportunity to try for the giveaway, Golden paints are quite hard to source in Australia. Fingers crossed. Great video! Would love to try out those Golden colors! Margaret in Ontario. I'll pay for postage! one can never have enough acrylics! Wow what a lot of comments,but still worth a try. You're always so generous - with your time, your knowledge, your inspiration. Thanks again Jane for all you do for the arting community! Terrie -Go Hawks!